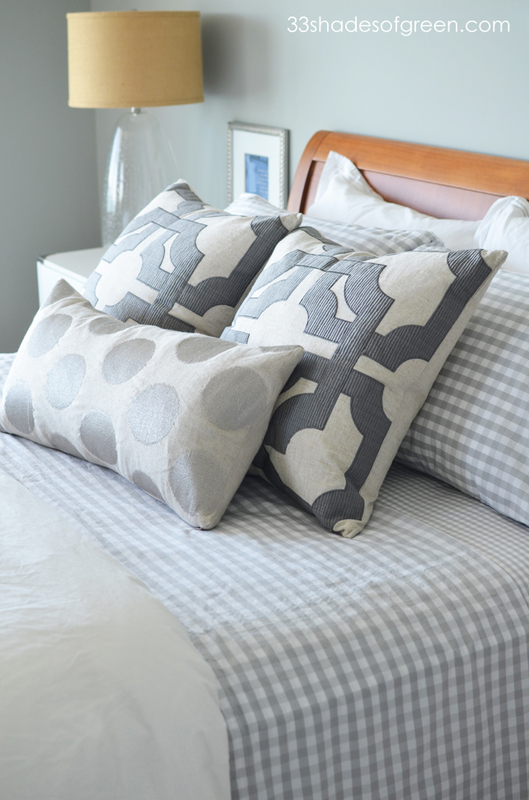 Do you agree that one of the great simple pleasures in life is a new set of sheets? I just love the feeling of new sheets - it's such a treat! 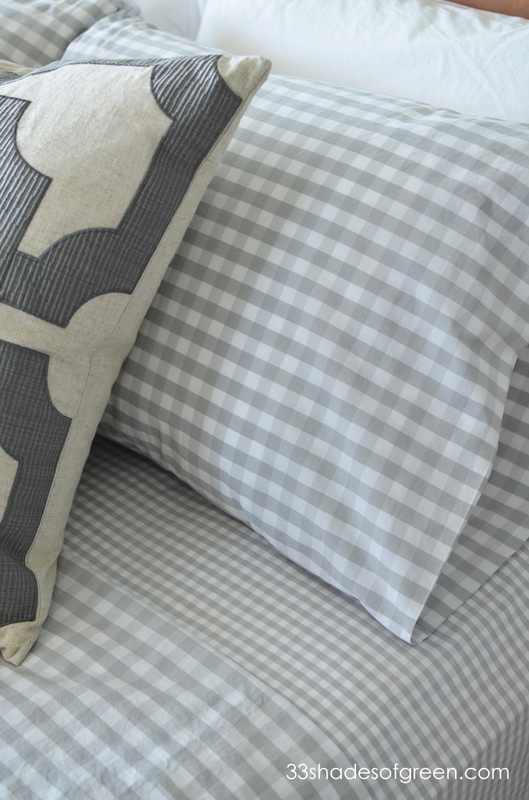 I've had my eyes on the Serena & Lily Gingham sheets for a while, so I was absolutely thrilled when the lovely people at Serena & Lily offered me a product to review. 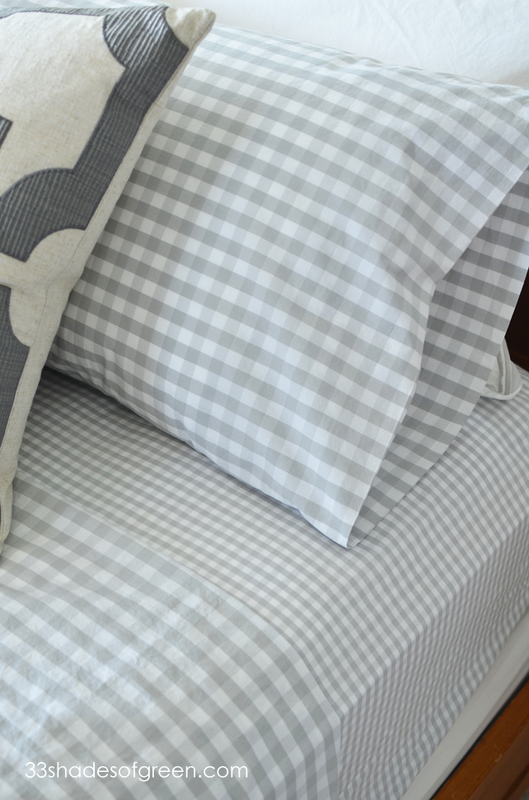 Serena & Lily offers so many beautiful and timeless sheet sets, so it's hard to choose, but I really, really love the simple gingham pattern. I choose color Fog. 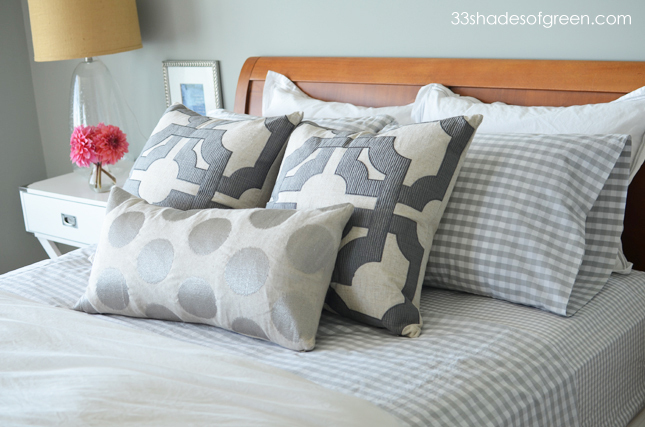 I love the neutral color and it works well with my existing bedding and pillows. 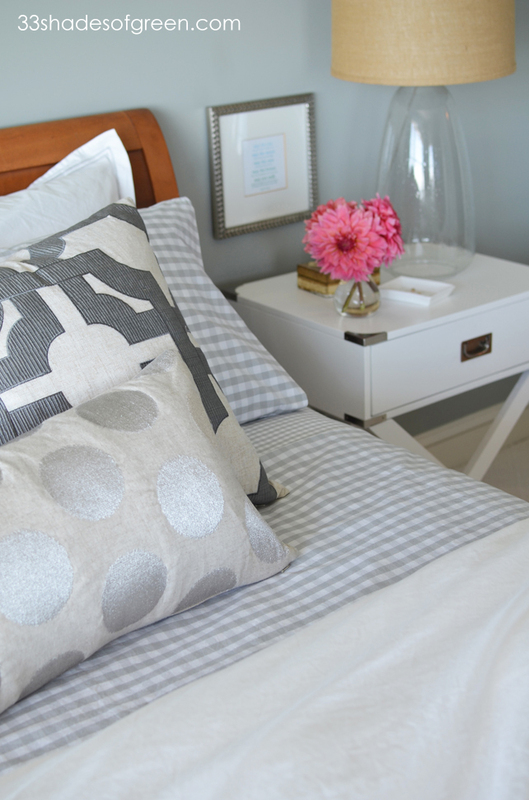 The sheets are made in Portugal (love that) and are 100% cotton percale. 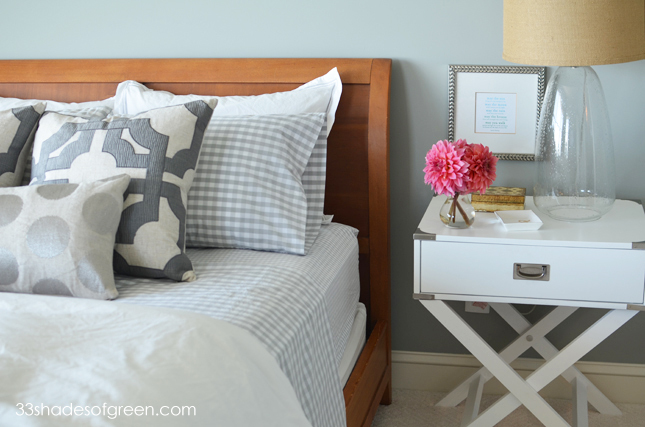 The cotton percale gives the sheets a nice crisp feel. I've been using the sheets for almost a week now and am really enjoying them. 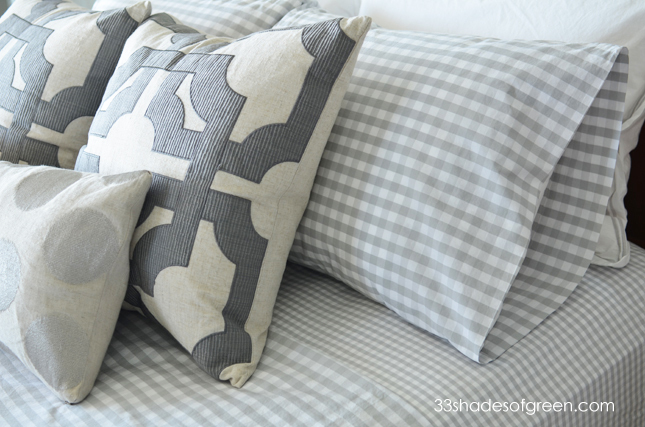 I love that the scale of the gingham on the fitted sheet is different than on the pillowcases and top sheet. 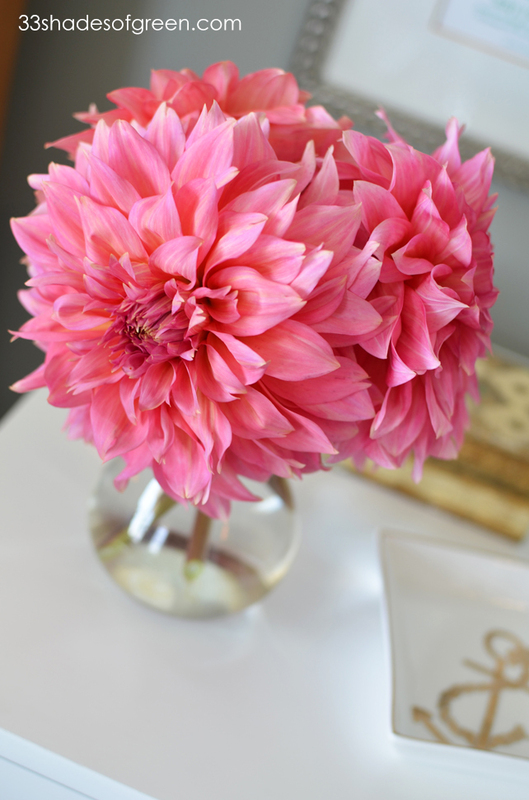 I had to throw in a few dahlia photos. 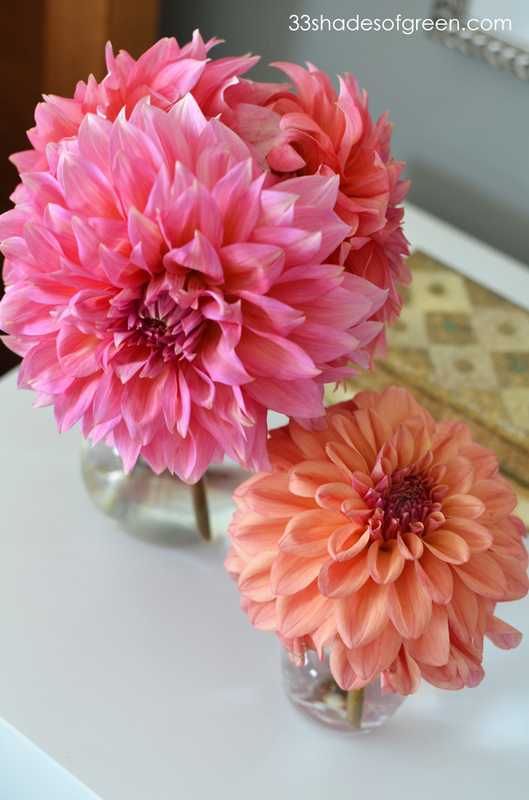 I bought these at the farmers market last weekend. They are just so pretty. I'm growing dahlias for the first time in my garden this year, but they must be a little behind because I've only had a few open so far. Lots of buds though, so that's a good sign! For 20% off your first order at Serena & Lily, use this link. 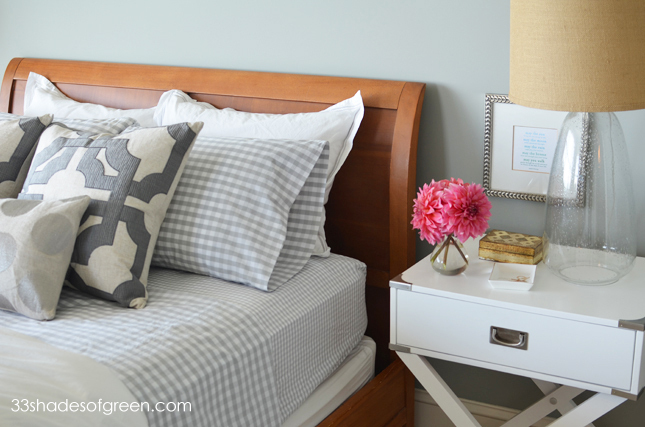 Big thanks for Serena & Lily for the opportunity to review these lovely sheets! I have a feeling I'll be enjoying these for a long time to come. 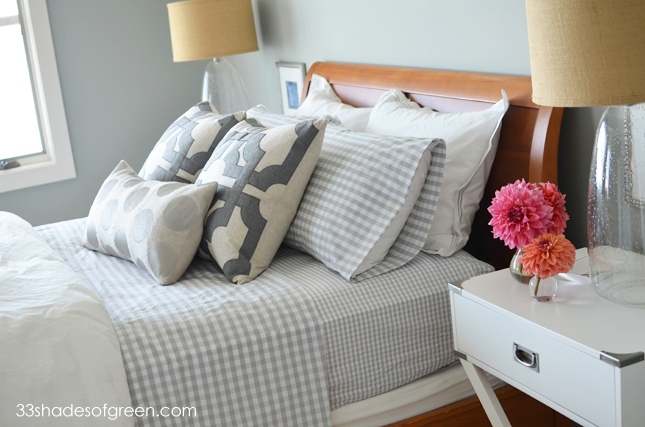 Yes, love the different size gingham on the fitted sheet. 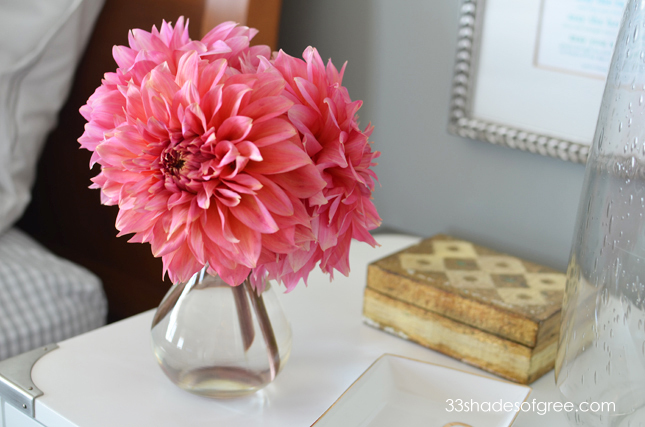 But my favorite is the pops of color from the dahlias, of course. :) So pretty! !